Research continues to suggest that exercising your brain will keep your memory and thinking skills sharp as you age, and maybe even ward off diseases of old age (Simon's words!). 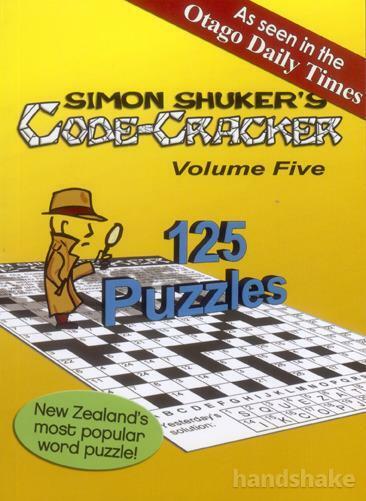 Therefore we think Code-Cracker Volume 5 is an essential item in anyone's anti-aging arsenal. 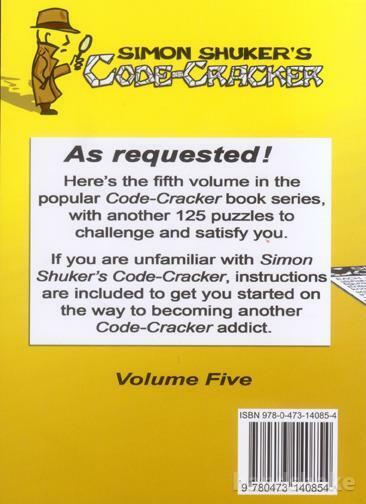 Warning: Code-Cracker can be addictive. Happy puzzling! Shipping: $8 per book. We are happy to combine shipping for multiple purchases, but this may increase the shipping price - please ask us for a quote before purchasing.